Can short development times hurt a game's overall success? With the release of two heavy hitter FPS titles on the horizon, not to mention a bevy of other brilliant games soon to follow, fans of the soon to be released Battlefield 3 and Modern Warfare 3 seem to be arguing on every forum and board they are allowed to mix in. Debates over which is better, gameplay wise, graphics wise, etc., seem to sprout up everywhere and, well, though I'm no expert I thought I'd toss in my two cents. After playing the Battlefield 3 alpha and beta extensively, as far as I have experienced, the game itself has very few things wrong with it cough in-game menu replaced by battlelog cough. Gameplay is realistic yet smooth, though took some getting used to after paying MW2/BLOPS for so long, controls are tight and the graphics are fantastic. Large maps also facilitate sniping in a way that I felt the last two Call of Duty games did not and the vehicles really add another dimension to the gameplay that makes squad tactics important and the overall experience left me excited. Now it may not be fair to have an opinion on MW3 already without having played it first, using only the videos released (actually it isn't but it's what I and you and most others have to go on), but from what I've seen so far leaves me with an uninspiring feeling of over-familiarity. Don't get me wrong, I've watched all the videos multiple times and I know about the different strike packages, the change of kill streaks to point streaks, survival co-op mode, “gun experience” levels (or whatever they'll finally be called), etc., but despite these interesting changes, when I watch the videos I just think to myself “yup …. yup that's Call of Duty alright”. So in short, overall I thought BF3 yea, MW3 meh. However, after reflecting on my nonchalant attitude towards the next instalment of a FPS franchise I had previously enjoyed I realised that it really boiled down to issues related to development time. The graphical and gameplay differences between Battlefield 2 and Battlefield 3 are staggering, seriously, go to youtube and watch videos of Battlefield 2 gameplay and you'll see what I mean, it is immediately apparent that BF3 is the result of a long period of refinement and development (and a new engine). Also as I haven't played a Battlefield game (Bad Company does not count to me as it feels more like a deviation from the main Battlefield franchise) in a long time the experience was also fresh. Now in comparison, and I'll probably get screamed at by you CoD fans for this, MW3 when compared to MW2/BLOPS looks like it could have been made by a (very talented) modding team, this is probably due to the fact that (as far as I know) it still uses the same engine as MW2 and BLOPS, not to mention that the last Call of Duty title came out not even one year ago. Leaving a taste of bland sameness to the whole thing. I understand that by releasing a CoD game every year Activision has kept the franchise in the public's attention and its fanbase is growing and growing year to year, but is the amount of innovation between instalments suffering as a result or is the gameplay not being perceived as new enough? I can think of two other popular Activision published titles that were released with increasing frequency before finally seeing an amazing drop in popularity: Tony Hawks and Guitar Hero. Of course a longer development periods doesn't always spell success, I still think about what Duke Nukem Forever could have been compared to what it is, but most games seem to benefit from a dedicated team taking its time between instalments to really produce something amazing, i.e. Skyrim (another game that left me saying wow). My suggestion to Activision would be to cool its jets and not milk the cow dry in five years when it could last for 20, to take the time between instalments to produce sequels or new titles that leave gamers saying damn, that’s impressive, instead of merely ah okay, cool. Finally after months of waiting, it arrived. All the preordering, beta testing, character downloading and book reading can come to an end, as the Gears of War series makes it's triumphant return. I'll be the first to admit that I'm a bit of a gearhead and that my opinion may be slightly biased, but OH MY GOD GEARS OF WAR 3 ARGLEBARGLE. Okay now that's out of my system, we can begin. Gears 3 rejoins Marcus Fenix and company 2 years after the events of Gears 2. The Cog army lies in disarray and the remnants of humanity cling to life in small settlements, engaging both the refugee locust that have been forced above ground and the new threat of the mutated Lambent. The human race finds itself in a desperate struggle for survival. The story certainly takes a backseat to a more character-based narrative, with some of the less fleshed-out characters getting a chance to develop. Gears of War 3 definitely has a more bleak tone than the previous entries, with Marcus, Dom and others displaying an uncharacteristic sense of fatigue and hopelessness. That said, the third installment of the series is probably the most colourful, as most of the campaign's varied environments are lit with intense sunlight, a contrast to the mostly subterrainian levels of Gears 1 and 2. Unfortunately the overall storyline feels fairly weak, and seems ill thought-out compared to Epic's previous campaign modes. I consciously avoid using the term 'single-player' mode this time around since one of the big changes to the campaign is the addition of 4 player co-op. While playing through the campaign with three friends is a lot of fun, the level design has suffered as a result. Rather than the complex, labyrinthine environments of Gears 1 and 2, larger and wider levels have been created to accommodate the increased number of players. Other than that minor annoyance, Gears 3 still has the same mix of solid cover-based shooting and spectacular set pieces that has made the series such a success. Fans will also be happy to see the inclusion of characters from the Gears Universe outside of the games, such as Jace from the popular comic books and Bernie from Karen Traviss' books. While I was pleased with how the campaign portion of Gears 3 turned out, it was the multiplayer component that I was most looking forward to. The new Horde 2.0, Beast and of course revised Versus modes are a online warrior's paradise, providing literally hours of chainsawing, curb-stomping mayhem. The new additions to the gameplay such as the new mantle-kick and bag-n-tag moves as well as a host of new weapons and executions make every match a joy to play, win or lose. Epic have gone to great efforts to track your progress up the ranks, and almost every action carried out counts towards some sort of medal, ribbon, unlock or achievement. Epic's signature 'not over till it's over' gameplay still sizzles, where teamwork and unity is rewarded, but climatic one-man come-backs can still be made (but only if you have the prerequisate skills and cunning). Of the trilogy, Gears 3 in my opinion has the weakest campaign (but that still places it high above most other shooters) but the stellar multiplayer will keep me occupied for a long time to come. I could go on for pages about the tower-defense style changes to Horde, the chaotic fun to be had in Beast mode and the epic list of character unlocks. Suffice to say, Gears of War 3 is a must-have. If anybody needs me over the next three months, just tell them I'm busy working on my onyx headshot medal. It's been a double whammy of store openings for CeX today. The 1st of which is at: 4 Market St in Loughborough. 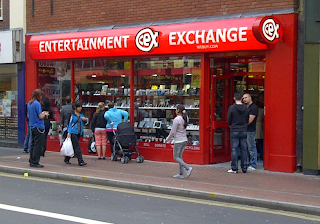 Stocking a huge range of games, phones, DVDs, electronics, vision & computing across 2 floors. ...And say "Hi" to CeX Hartlepool. Find us in: Central Square at Middleton Grange Shopping Centre. Come in to buy something you've had your eye on. Or you can turn your unwanted goods into cash, vouchers or a charity donation. Find your local store by clicking HERE. You have to go back all the way to November 2006 to relive Emergence Day. 5 long and arduous years on and the battle against the Locust invasion culminate in fantastic fashion. Gears of War 3 concludes its story with an engaging and thought provoking campaign while ensuring it still provides the most exhilarating online experience on the Xbox 360. A wide range of cooperative and competitive modes both offline and online, ensures utmost entertainment as you fight for survival against the Locust and Lambent. Make no mistake; this is one finale you won’t soon forget. Reoccurring themes in the Gears of War universe are tragedy, death and destruction. The third installment in the series is no different as it tackles similar issues in dramatic fashion. This is a story of humanity clinging for survival during the darkest of hours, living in a state of solitude aboard vessels and outposts with hope all but lost after the final attempt to wipe out the Locust failed. As both humans and Locust try to survive while Lambent forces grow in numbers, the war looks all but lost for our valiant heroes. However, a spark of life reignites as Marcus Phoenix and Delta Squad return once again with feisty female additions to the team, and between them provide an engaging and entertaining cast of characters looking to end this war once and for all. Everything about Gears of War 3’s story suggests that it has gone a step further than its predecessors. The once seemingly brute-like characters all fill out, especially the likes of Cole-Train who gets an entire segment dedicated to his past concentrating on his illustrious football career. The story lets you become invested as Marcus and his team takes you through twists and turns, pushes through the most dramatic of battles – only to bring you to a dramatic ending. The story jumps quite frequently and is told in an intertwining fashion, but come the finale, everything slots perfectly into place. While the early couple of chapters can be considered quite slow, the pace certainly picks up as the COGs have all that much more to fight for – culminating in a tense conclusion. It can be difficult to find a spare moment to engage in the emotional turmoil that your characters go through when you’re under fire almost all the time. Your enemies are relentless, smart and come in large numbers. Not only will you have to move swiftly and efficiently to kill your foes, but you have to seal their geyser-like spawn points to ensure enemy numbers stop, for the time being at least. At your disposal are all the weapons series veterans would expect, along with some larger-than-life additions including the powerful One-Shot sniper and the Digger launcher. The campaigns greatest asset is the introduction of 4-player online cooperative and 2-player split screen. Although the AI is efficient, nothing is more exciting than taking on Gears of War 3 with your friends. The sense of comradery is already emphasized throughout the game before you even go near a pad, so when your friends join you in Gears of War 3, it becomes a momentous occasion in modern video gaming. Of course the action doesn’t just stem from campaign mode – Gears of War 3 provides the most refined and entertaining version of its incredibly successful competitive online mode. A host of beautifully designed maps allow you to take centre stage and unleash bloodshed on other players. Fan favourite map Gridlock makes a dramatic return to the multiplayer inventory but now as a nighttime map. You will be happy to hear that all the frustrations from Gears of War 2 have been dealt with, including poor matchmaking, sluggish movements and other general inconsistencies. Gears of War 3 feels faster and more fluid, which is ironic considering the size of the characters. Nevertheless the action is frantic, weapons are powerful, unlockables are plentiful and maps are diverse – the key ingredients needed for a successful competitive multiplayer. A more engaging level-up system has also been implemented (as was seen in the beta), setting you targets to earn certain medals and advance up the ranking system. The medals in particular act as an indicator to other players at what you specialize in or enjoy doing in Gears of War 3. For example, should you rack up 500 kills with a particular weapon, you will then be able to wear a badge proudly that indicates your accomplishment. You also unlock a plethora of new characters to use from the Gears of War universe, weapon skins and plenty of other cool additions that make it difficult to put the game down. Unfortunately there have been times when my Xbox crashed and upon reloading the game, I received a penalty for apparent disconnection. Although this disconnection wasn’t logged under my profile, I still lost experience points that dropped me down a few levels – which was frustrating. Another game mode worthy of note is the new beginners multiplayer lobby. We all know how intense and brutal Gears of War can be online, so Epic have ensured that newcomers can get a chance to play against each other and get to grips with the game. Once they’ve had a little bit of practice, they can then jump in to the real deal and start competing with players who are already sitting comfortably past the Level 80 mark (scary stuff). If getting killed by other players over, and over, and over again gets tedious, you can always vent your frustrations out on the AI in Horde made. A team of up to 5 players can try their hand at surviving wave after wave of enemy Locust (50 being the limit). A strategic element has also been put into place here, allowing you to build defensive structures in between rounds, all of which serve different purposes in an attempt to elongate survival. A polar opposite game type called Beast Mode is also present, allowing up to 4 players to play as the Locust and try killing AI posing as survivors. Once again a currency system is available, but instead of defensive structures you spend your money on unlocking and using more powerful types of Locust. This is an incredibly entertaining way to pass time on Gears of War 3 and makes for a fantastic divergence to the more mainstream elements of the game. Gears of War 3 continues to impress with a fantastic visual design. It doesn’t matter what game mode you find yourself in, every single location, character model and explosion looks beautiful. Epic have pushed the console to a very impressive limit and you will struggle to find anything on the machine that looks better than this. The same goes for the fantastic audio – a terrific soundtrack helps compliment the atmosphere portrayed throughout the game and while somewhat cheesy at times, the voice acting is engaging and does get pretty deep. Gears of War 3 is a perfect example of how to go out with a bang. This is a testament to all of Epic’s fans and it is clear that the series has evolved in an exhilarating and engaging manner. Embracing the masses with an engrossing campaign and a frantic online competitive mode, Epic has led us up to this one, glorious, moment and it’s certainly something each of you must experience. Gears of War 3 is the iconic third-person shooter and the perfect ending to the series. Gears of War 3’s gritty action is a refreshing way to get away from the conventional FPS model we all know and are bored of. Fantastic action along all the game modes makes this instalment in the series the best and most enjoyable yet. Probably the most beautiful game you will see on the Xbox 360. Presentation is perfect all the way down to the subtlest of details, both visually in game, throughout the menu systems, online and in the story. Never before has GOW had so many unlockables in its online mode – it’s impossible to put it down! An arcade mode to repeat campaign chapters is also present, alongside Horde and Beast modes, it’s just so much take in! The iconic series ends in spectacular fashion. This is the pinnacle of 3rd person shooters and all others games in this genre will now be compared to GOW3. 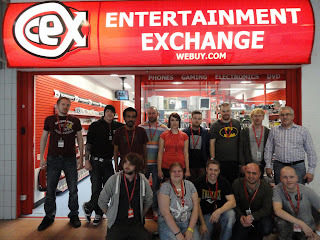 Your new CeX has just opened in Reading. 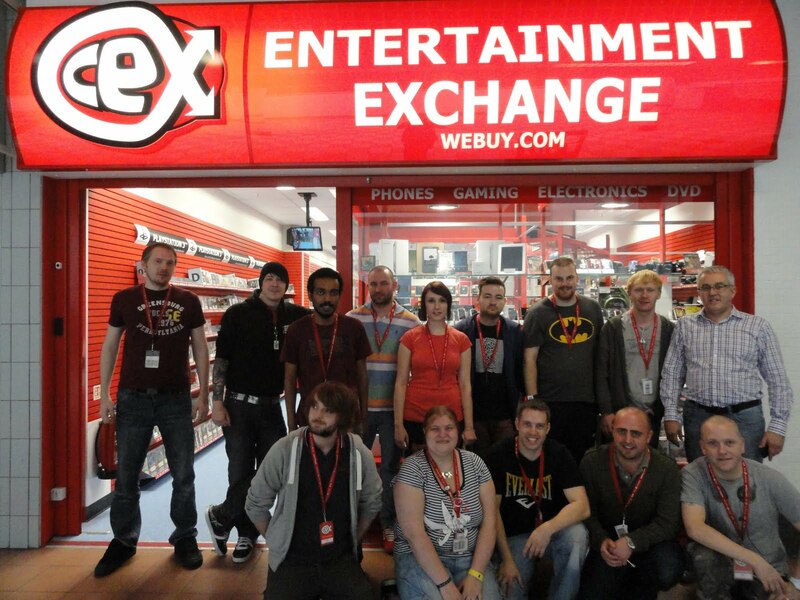 Located at 130-1 Friar Street, next to McDonald's, we've two floors of games, films and gadgets for you to explore. We're community minded too and you can donate the value of goods you're selling to CeX to great causes like Help for Heroes and Muscular Dystrophy Campaign. You can even use the stairs to burn off your Big Mac. 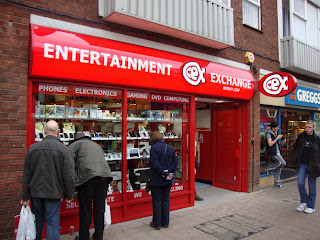 CeX Reading is open 7 days a week, resonates to the loud music but unlike fancy gyms, CeX membership is free and gaudy spandex apparel is merely optional. 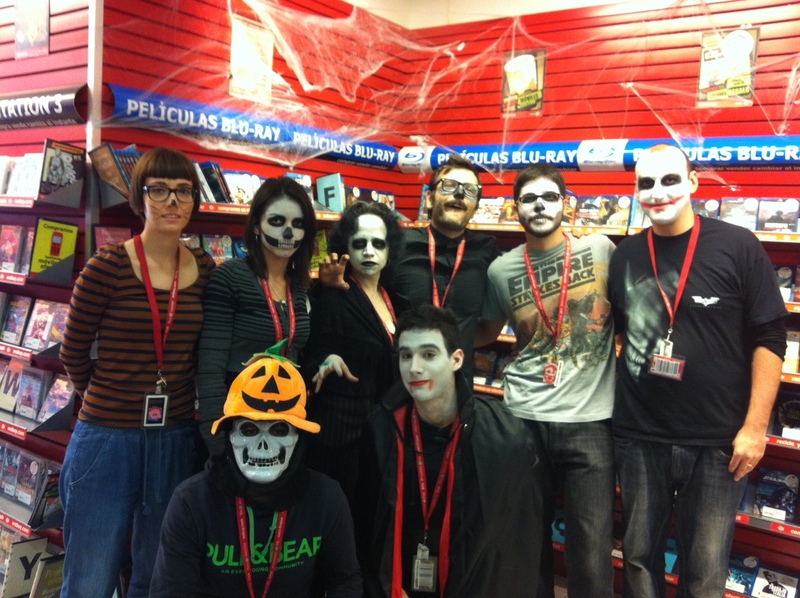 For full store info click here. 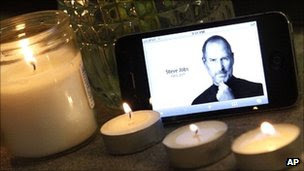 Business and World leaders have paid tribute to Apple co-founder Steve Jobs, who has died at the age of 56 from pancreatic cancer. Microsoft founder Bill Gates said it had been "an insanely great honour" to work with Steve Jobs. Facebook founder Mark Zuckerberg called Jobs his "mentor and friend". US President Barack Obama and Russian counterpart Dmitry Medvedev said Mr Jobs had changed the world. Apple said Jobs had been "the source of countless innovations that enrich and improve all of our lives" and had made the world "immeasurably better". 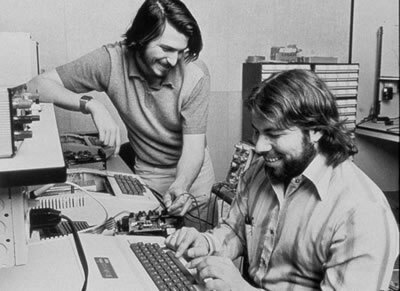 Steve Jobs co-founded Apple in the 1976 with Steve Wozniak (shown on the right). Apple grew dramatically as personal computers took off, yet Jobs was ousted from the company in a boardroom battle in 1985. Jobs then bought Pixar from George Lucas and also founded NeXT Computer, the later was eventually bought by Apple in 1996. During Jobs absence Apple's fortunes in the 1990's turned from bad to worse. The acquisition of NeXT saw Jobs return to Apple in 1997. Jobs was later named CEO. 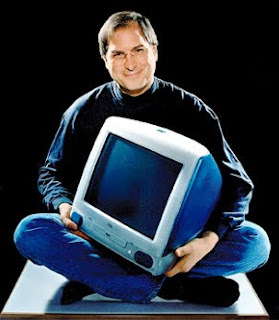 He set about streamlining the product range and launched iMac in 1998. This was the start of the one of the most dramatic turnarounds in business history. Some of NeXT Computer's technology was the basis of Apple's new operating system OS X. Jobs realised before most that computers would become 'digital hubs' in our homes for music, photos and movies. Apple secretly bought a Mac only music player program called SoundJam MP in 2000 that could encode CDs into MP3 files and manage MP3 playlists, hired the developers and reworked it into iTunes to support the launch of the iPod in 2001. After nearly 3 years of secret development Apple launched the iPhone in 2007 which has become one of the best selling smart phones in history. The Apple apps store finally made installing software on a phone child's play and has been replicated by other manufacturers. The iPad followed in 2010 and is currently the tablet other manufacturers are trying to beat, with 75% market share in the US this year. With a market value estimated at $351bn (£227bn), Apple has become the world's most valuable technology company. Yet to some, this huge multinational company still has cult status. According to Associated Press, thousand of people have been leaving flowers and lighting candles outside Apple stores around the world. 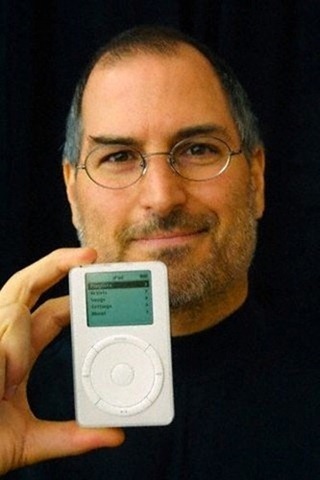 Steve Jobs was a man who broke the mould and wasn't happy to settle for second best. His visionary speech at Stanford in 2005 sums up his philosophy on life. On October 5, 2011, Jobs died in California at age 56, seven years after being diagnosed with pancreatic cancer.